Red Wine Components May Epigenetically Help Prevent Breast Cancer Growth | What is Epigenetics? Pink may be the color for breast cancer awareness month, but when it comes to reducing your risk for the disease; the color red makes a good choice. New research has found that certain chemicals highly concentrated in red wine may hinder breast cancer cell growth, as well as influence a person’s epigenetics. Breast cancer has been said to be the single most important health crisis women face today. Despite advances in modern medicine, 180,000 new cases of invasive breast cancer are reported each year, along with 40,000 breast cancer-related deaths. These alarming statistics are why the search for safer, more effective prevention and treatment strategies are still needed. In recent years, the impact of dietary components used in combination to combat cancer has gained notable interest. In particular, certain phytochemicals commonly found in red wine such as grape seed proanthocyanidins (GSPs) and resveratrol (Res) have shown to exhibit anticancer properties. Yet, how these two chemicals affect cellular activity is not fully understood. Based on the assumption that GSPs and Res (both found naturally in grapes) may work synergistically, scientists at the University of Alabama at Birmingham sought to examine the combined epigenetic effects that these two dietary components have on human breast cancer cells. Several studies in the last few decades have found that epigenetic mechanisms such as DNA methylation and histone modifications play an essential role in the development of different cancers, including breast cancer. 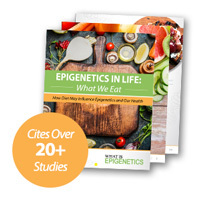 There is also evidence that dietary phytochemicals, which are chemical compounds found naturally in plants, such as GPS and Res can affect these epigenetic changes. While GSPs and Res are both abundant in grapes, most grapes sold for direct consumption are seedless and do not carry significant amounts of proanthocyanidins. Fortunately, red wine is produced using both grape seeds and skin, effectively maintaining the level of these beneficial compounds. Moreover, the fermentation process essentially concentrates the levels of GSPs and Res, making it more feasible to consume. Using two different human breast cancer cell lines, the researchers in this study tested the effects of GSPs and Res on the induction of apoptosis or cell death. Their results showed that combinational treatment of the two chemicals significantly reduced cell growth compared to a singular treatment with either GSPs or Res of the same concentration. DNA methyltransferases (DNMTs) and histone deacetylases (HDACs) are two epigenetic mechanisms associated with cancer growth and development. Therefore to further understand the effects of these chemicals on the cell lines, the researchers analyzed both DNMT and HDAC activities using two popular commercial assay kits. Their results showed that both GSPs and Res acted as strong DNMT inhibitors as well as HDAC inhibitors. In addition, their combined effects showed a more significant reduction in DNMT and HDAC activities than did GSPs and Res alone in both of the cell lines. Overall, the outcome from this study suggests that GSPs and Res synergistically inhibit cancer cell production by upregulating cancer suppressor genes via a reduction in DNMT and HDAC activities. While further analysis is needed to identify the specific DNMT and HDAC modifiers involved here, the findings do contribute to our understanding of these enzymes and their role in the pathology of breast cancer. It should be noted that while this study did focus on two particular components found in red wine, it does not suggest that women should start drinking more red wine to prevent or treat breast cancer. The study does, however, highlight the potential of natural substances for the treatment of breast cancer. If you chose to drink wine, keep in mind that most health care professionals recommend women drink just one glass a day for health benefits!